time Check out www.tkd.co.za for times. cost please email us for details. Our clubs are headed by Norman Magua 6th Dan and run independently by our quality team of instructors . Fantastic martial arts training suited and adjusted for kids through to adults. The classes are fun & challenging. Kids classes:A great way to get your kids off the couch or away from the screen to gain some very valuable skills, which can be carried with them for life. Magua Taekwon-Do trains the kids in a wide variety of skills including striking, releases and balance keeping which are useful for self defence. The technical side is great for developing focused concentration, discipline, higher confidence and co-ordination plus much more. 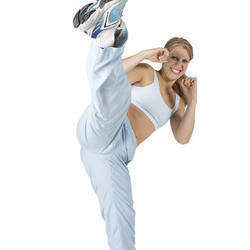 Various games are also played to develop aspects useful to martial arts. Through the classes the kids will learn when to play and when to be serious, through our rules which encourage this. 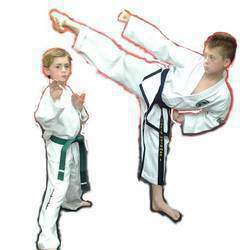 Taekwon-Do is known to build a childs self esteem and confidence. Kids from 6yrs in the following clubs: Emmarentia (from 4yrs), Bedfordview (6yrs), Olivedale(6 yrs), Rivonia (6yrs), Edenvale (6yrs)& Lanseria (5yrs). Adults and Teens: Our adults/ teens classes are popular and trained according to their needs which differ slightly from children, also including urban defence etc.We have adults classes in Emmerentia, Bedfordview,Bryanston,Norwood & Lenasia. Cardio Fighting Fit Class (Emmarentia club). Are super for fitness, toning and stress relief. For those looking to gain the awesome fitness benefits of combat training without the contact as well as basic effectitve self defence techniques taught to boost your safety(13up: is only available at our Emmarentia club.